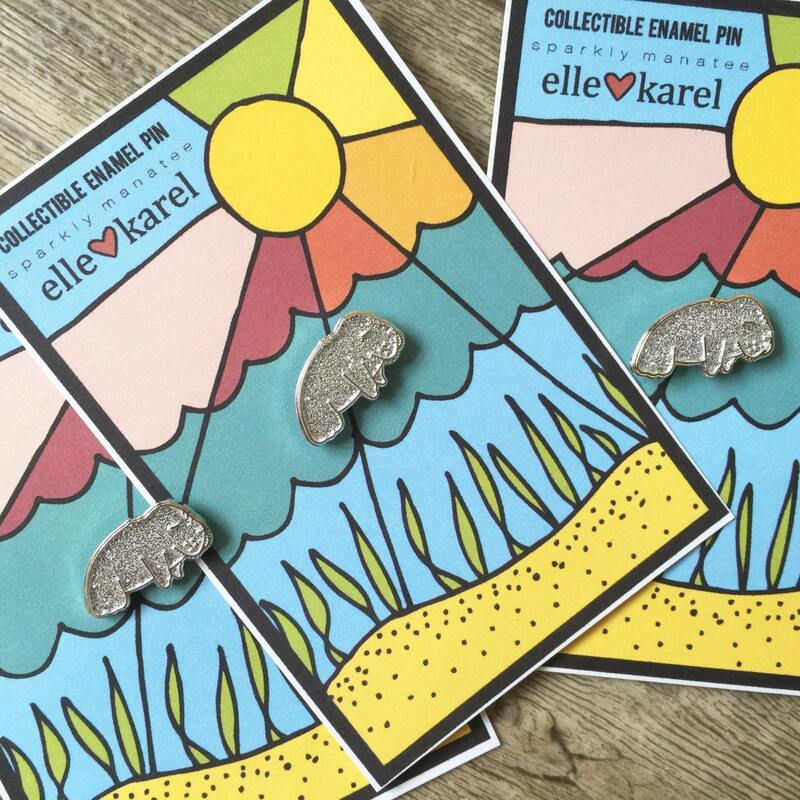 Darling tiny sparkly enamel manatee pin designed from the original Elle Karel illustration. Look at his little whiskers & wrinkles <3. If you love manatees like I do (scream scream scream!!!) snag one of these to display on your hat, bag, collar, shoe, & anywhere else to add some snazz. Details: limited edition 1/100, soft enamel pin, gray with silver glitter, butterfly pin back, .75 in, cutest thing in universe. So adorable and beautifully made! Perfect for manatee lovers! 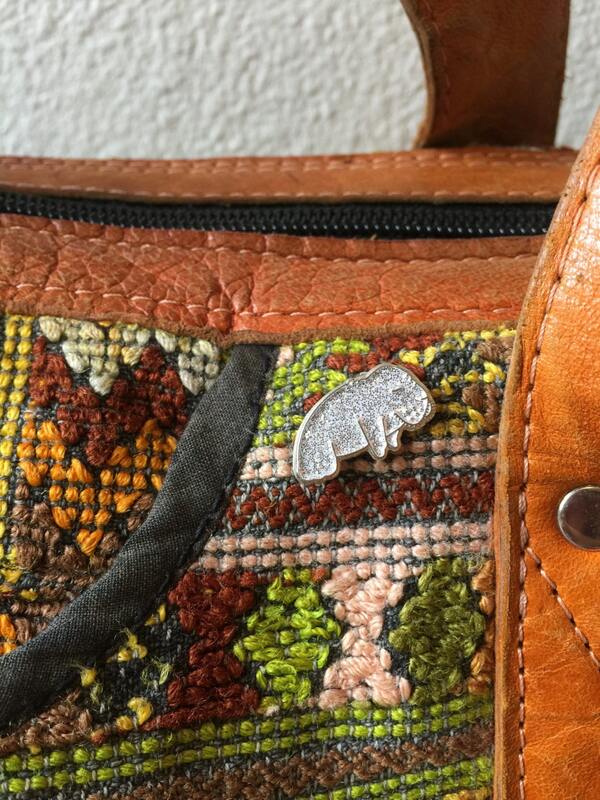 Great and cute little glittery manatee pin!! Thank you so much!